Ergonomics is the science of designing the job, equipment, and workplace to fit the worker. 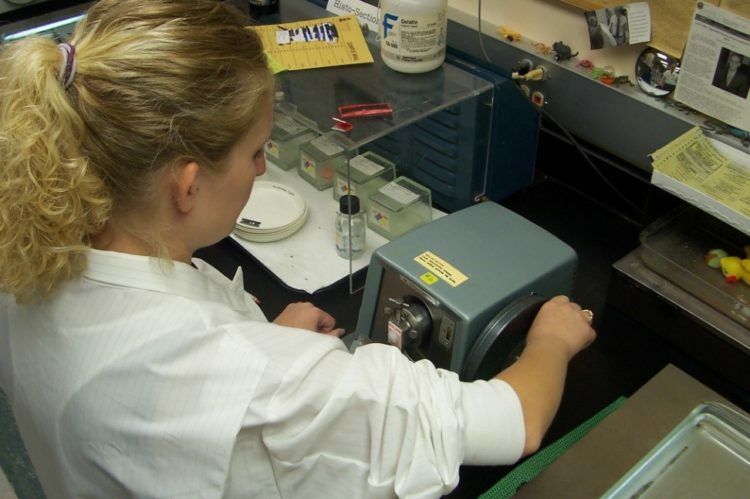 Why should the Histotechnologist be concerned about laboratory ergonomics? As Histotechnologists we perform daily tasks that are precise, repetitive, and in a fast-paced manner. Work-related musculoskeletal disorders currently account for one-third of all occupational injuries and illnesses reported to the Bureau of Labor Statistics (BLS) by employers every year. 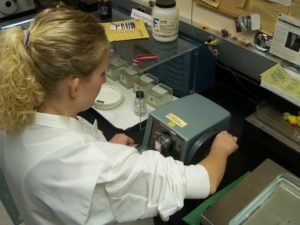 When a movement is done repeatedly such as while using a manual microtome or the “pinch grip” used with forceps during the embedding process, a stress injury can form. These small injuries build up over time and can develop into Musculoskeletal Disorders (MSD). Most frequently these injuries affect the back, neck, shoulders, and upper limbs; less frequently the lower limbs. There are ways to improve the ergonomics of your workspace without spending too much money. This discussion will be focused on arm related issues in the hand and shoulder. 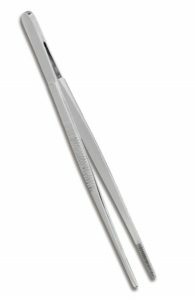 While not everyone can afford to purchase specially designed ergonomic tools there are modifications that can be made to existing tools. This photo from the UC Berkley Tang Center shows a great way to improve the “pinch grip” of forceps by using inexpensive plastic-coated foam tubing. This tubing can be found in many hobby or craft stores and it comes in a multitude of sizes. By using either specially designed tools or simple modifications to existing tools the ergonomics of your workplace can be improved and the risk of injury reduced. I have worked with the owners of Saffron Scientific since they opened, and I'm constantly impressed by their level of professionalism combined with an incredible level of personal customer service that I have yet to see from other companies. 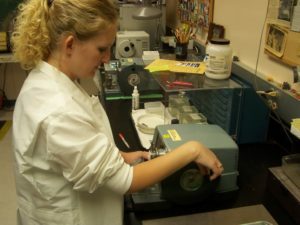 As a Ph.D. student at Animal Sciences SIUC, Saffron Scientific Histology Services is my right hand in all my experiments. I have used their services (embedding, sectioning, slide mounting, staining) since I started my projects. Despite the size of the specimens, the quality of the slides produced is incomparable (always good orientation of the specimens). They are working with high-quality materials, outstanding technical know-how, and are very fast in returning the material to start my analysis, allowing me to be much more productive in my research. I totally recommend Saffron Scientific Histology Services for everyone who is seeking excellent results in histological studies. Or through our Contact Us page. Copyright © 2019 Saffron Scientific Histology Services All Rights Reserved.